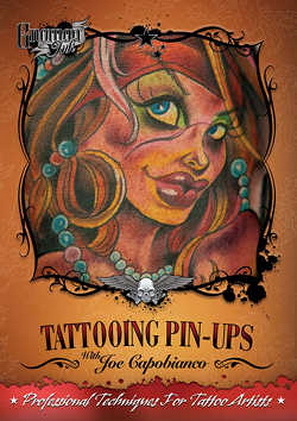 This DVD follows the tattoo process from start to finish in the signature style of Joe Capobianco and presents an excellent example of the subject matter he has become famous for "The Pin-up". Joe has asked his good friend, fellow tattoo artist and coworker of seven years, Julio Rodriguez, to join him in a conversational style narration for this DVD. Together they go step-by-step through Joe's drawing techniques, his tattoo setup and a detailed de******************ion of his unique color palette. Julio asks questions and makes comments that you the viewer may have on your mind. They also discuss Joe's needle setup and machine choices. All in all, this DVD provides a unique look into the techniques of Joe Capobianco and is a fantastic tool for the experienced tattoo artist.